Looking down the steps into the bunker. The Farmer called it an atelier, workshop? We did not enter this one. 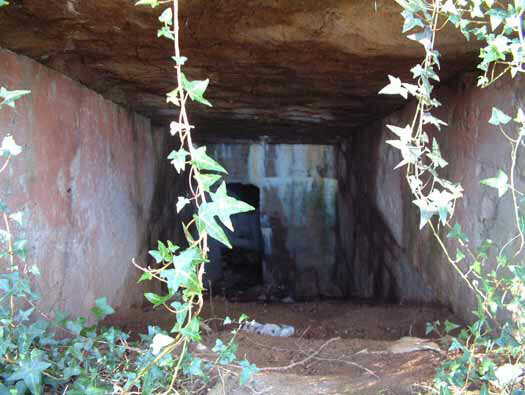 There are two bunkers like this at Battery Hamburg and another at Wn63 Collville s/Mer on Omaha beach used as an HQ bunker.